Up until her retirement from the international ballet arena a few years ago, Asta was revered amongst her peers and admirers, for not only her consummate skill as a ballerina, but also her body line and grace. During her career, she spent literally thousands of hours developing classical ballet exercises, into a program that would allow her to instantly check her posture. Subsequently, through the study of NLP, she has refined her program into a mind and body class, specifically for women to enjoy and develop a healthy attractive body, as an alternative to other fitness regimes and workouts which are not specifically focused on the female form. Lorenza started her ballet studies at the age of 6, at SpazioDanza in Italy. She graduated the academy Scuola di Balletto di Mariolina Giaretta in Italy, AIDA - associated with Teatro alla Scala (Milan) - recognised her full knowledge in Ballet, assigning her the full master degree (8th grade, advanced). After many performances in prestigious italian theatres as soloist for the italian company Veneto Balletto, she performed in Manhattan (NYC) as ballet, neoclassical and modern dancer for Ajkun Ballet Theatre (NYC). She’s now works as a ballet teacher, who graduated (Pre-Primary to Level 3) at the American Ballet Theatre in New York City. 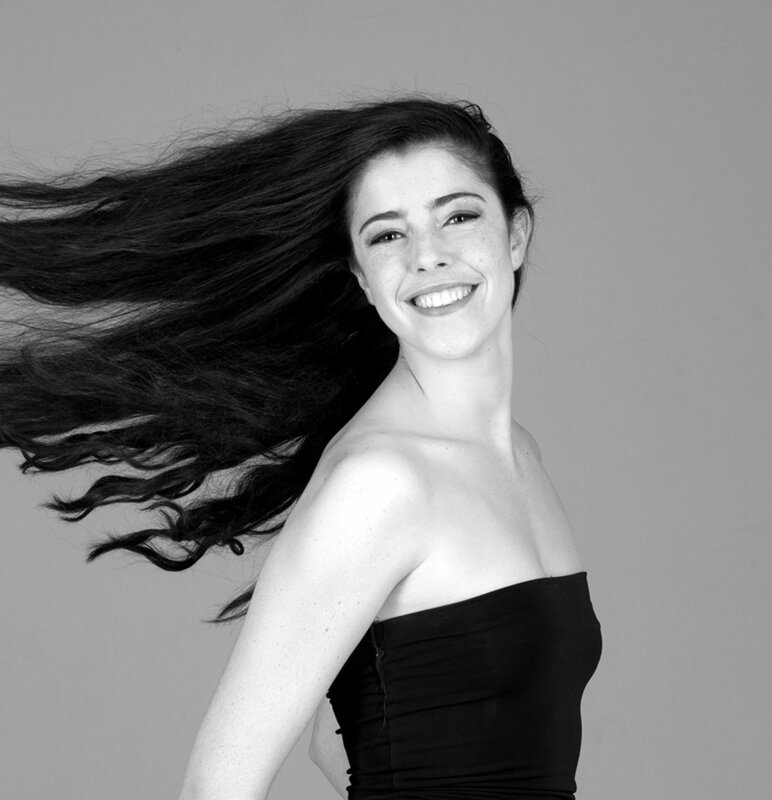 Lorenza currently works as as a freelance dancer and professional ballet teacher. Julia began dancing with Susan Robinson before going on to train professionally at Central School of Ballet in London. Whilst there, she won a Bronze medal at the Genee International Ballet Competition and toured the UK with Ballet Central. Upon graduation Julia has performed with Northern Ballet Theatre, Les Ballet Persans, (Stockholm), Ballet de Camara de Morelos (Mexico) and Lalaget Danza (Mexico) touring internationally to USA and Canada and dancing roles in neo-classical and contemporary creations, including the lead in Diego Vazquez' Nutcracker and the title role in Nima Kiann's Femme. After returning to the UK in 2010 she joined Ballet Theatre UK, where her favourite roles included Gerda in The Snow Queen, Alice from Alice in Wonderland and Odette in Swan Lake. Alongside her dancing, Julia is a freelance journalist for Dance For You magazine, and blogs under the name balletgirlblogging. In 2011 she organised and ran a charity event called Dance For Japan, which raised £6000 for the Red Cross in the wake of the earthquake and subsequent tsunami. Julia is currently a freelance dancer and professional ballet teacher. Claire began dancing at 2 years of age, and decided at the age of 8 that she wanted to dedicate her life to it. She was accepted into the Royal Ballet School Associates with whom she trained until she was 16. During this time she also trained with and toured with The London Russian Ballet School, performing as a Principal and Corps de Ballet member in many Russian versions of the traditional classical ballets. She studied at Central School of Ballet for three years in classical, contemporary and jazz and performed with Ballet Central on their UK tour, graduating with a BA(Hons) Degree in Professional Dance and Performance. Claire then went on to dance in the Cinevox Junior Company in Switzerland for two years. She performed Principal and Soloist roles in the classical, neo-classical and contemporary styles in their national tours, and had the opportunity to have her own choreographic work performed on stage. Whilst in Switzerland, she not only taught ballet classes, but was selected be a dancer-model for the fashion brand Tods, where she co-created and performed the choreography for their advert campaign. She is a very passionate dancer and teacher and is delighted to be a part of Ballet Body Sculpture. Lydia started dancing at the age of 5 in North Devon where she studied a variety of styles including Ballet, Tap and Jazz and later trained as an associate with The Royal Ballet School in her early teens. Lydia was then awarded a scholarship at the Legat School of Dance in Sussex for two years before continuing her training at The Central School of Ballet. During this time Lydia performed in Bermuda Civic Ballet's production of 'Romeo and Juliet' and toured nationally with Ballet Central in works choreographed by Christopher Bruce, Christopher Hampson and Sharon Watson. Since graduating from Central with a First Class degree in Professional Dance and Performance, Lydia has been working as a freelance dancer for various events, theatre productions and film work and has also choreographed for the students of Central School of Ballet in their recent Summer show. As well as performing Lydia also enjoys teaching dance and is excited to be a teacher with Ballet Body Sculpture. Evelin was born and raised in Greece. She started dancing at the age of three when starting studying the ballet system of Royal Academy of Dance. During her studies she acquired all R.A.D. ‘s certificates (amateur and professional level), and started studying contemporary and modern dance. At the age of 19 she was accepted to study as a Dancer as well as Ballet and Contemporary teacher at the Higher Dancing School ‘’Fyllis Mantziari’’ in Thessaloniki from which she graduated at the age of 22. She has participated in many performances and competitions winning various places. In 2016, Evelin started dancing with the professional company B+6 in Thessaloniki participating in dance festivals and performances. In the meantime she studied as a kindergarten teacher for two years with specialisation in psychology and kids with disabilities. Currently she moved to Zurich to continue her dance studies at the ZHdK, Master Studies in the field of Teaching and Coaching Dance Professionals. Evelin is happy to share all her passion for dance and teaching with her students and to be part of Ballet Body Sculpture. Yvonne was born in Canada and at the age of six, after gymnastics training at national competition level, she discovered her passion for dance and so went on to study classical ballet for seven intensive years with the RAD – Royal Academy of Dance, in Toronto. She moved to Switzerland when she was 13 and in 2001 became a certified dance teacher. Her regained passion for dance led her to travel the world for further education in - mainly but not limited to - ballet, modern, lyrical and contemporary jazz styles. She has attended numerous professional and intensive dance programs and intensive teacher trainings in New York City, Los Angeles, Chicago, London, Vienna and Milan. Many from which she has won scholarships and choreography awards. Her choreographic work has been shown on several stages and competitions around Switzerland and she herself has danced on tour in Italy, at the Vienna International Dance Festival performing an Alvin Ailey repertoire, at the US Open in Flushing Meadows, as a backup dancer for DJ Bobo at the European Athletic Championships and most recently in 2017 as a backup dancer for Chaka Khan at the Art on Ice in Zurich Hallenstadion. Yvonne’s true passion, however, lies in teaching dance. She has over seven years extensive experience teaching ballet and modern jazz to children and adults and is an accredited J&S leader with BASPO, which is the Swiss Federal Office for Sport and Movement. She is very happy to be a part of the Ballet Body Sculpture team where she is able to share her experience and love for dance with the students. Tania began her ballet studies at the age of 6 at the 'Academy of Dance' in Italy, where she also studied modern and contemporary dance. At the age of 19 she moved to the UK to train full time as a dancer at 'Performers College'. While there she also became a certified ISTD Ballet and Modern dance teacher. During her studies and after graduating with a BA (Hons), Tania danced for live tv shows such as 'Sport Relief' and 'Alan Titchmarsh Show' on BBC and ITV and performed for stage productions at the O2 Arena and on board of Princess Cruises. After retiring from her dancing career Tania focused on teaching. She taught professionals at Studio 68 in London, children and adult in various schools in Italy. She currently lives in Zurich and is a teacher with Ballet Body Sculpture. Alexandra started to practice ballet from three years old and since then she cannot imagine her life without a ballet.In 2003 graduated with honors from the Moscow State Academy of Choreography. She danced the solo variations in “Magical flute” and “Vain precaution” Bolshoi Theatre. After graduation she performed as a solist in Kremlin Ballet in Moscow, Russiaunder the direction of the most famous Russian ballet dancers of the Bolshoi theatre. During her ballet career she danced on ballet festivals in Russia such as pas de deux “Giselle”, pas de deux Medora “Corsair”, pas de deux Diana and Acteon, pas de deux of black swan in “Swan Lake”, variation of Kitriand Esmeralda. Along with her dancing, she organized ballet plays and staging ballet concerts featuring artists from famous ballet theatres in Russia such as Bolschoi theatre, Stanislavsky Theater of Nemirovich Danchenko and Kremlin ballet in Russia. Besides her ballet education, she is very keen on working with people coming from different backgrounds and helping them to retrieve their very own potential in classic ballet.